Play one of the most iconic games ever with the Mickey Mouse Pinball Game! 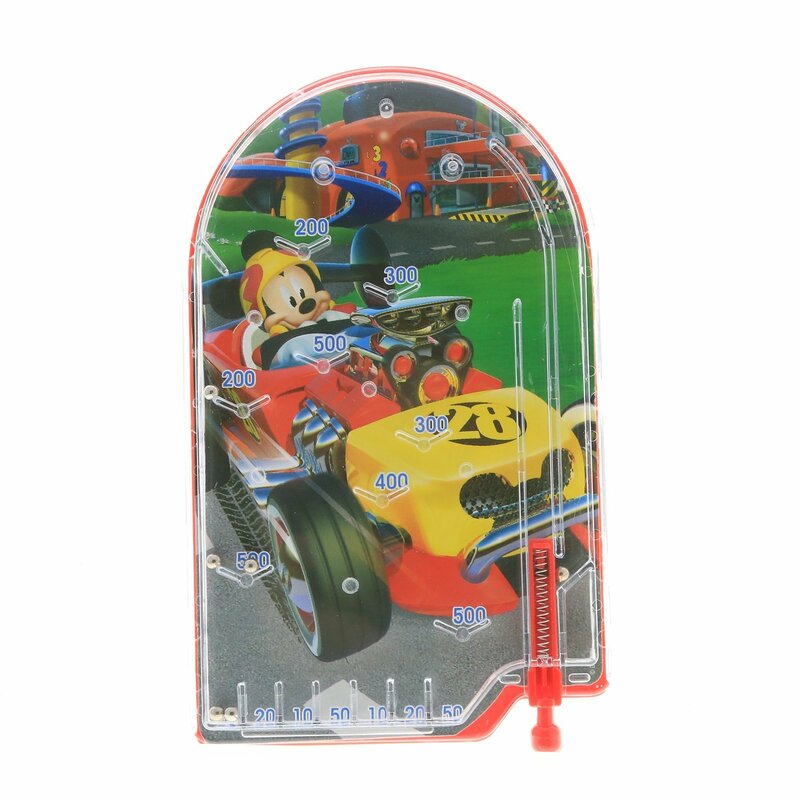 This fun pinball game features the classic Mickey in his Roadster Racer! Play one of the most iconic games ever with the Mickey Mouse Pinball Game! This fun pinball game features the classic Mickey in his Roadster Racer! Just pull the spring trigger and score points while on the go! Children will love the challenge of tilting their way to victory, and this handheld pinball game is great for teaching young kids about hand-eye coordination. This is a must-have toy for travel, road trips, sleepovers and play dates. The game itself is only about 6.5" x 4" x .5", so it's perfect for little hands and packing away in a backpack or purse. This is a great gift idea, party favor or stocking stuffer for young boys and Mickey Mouse fans! Ages 3 and Up Dimensions: 6.5" x 4" x .5"
KidPlay J Animals Kids Wearable Stuffed Animal Onesie Jumpsuit Size M Zebra $ 16.99	• 51% off! 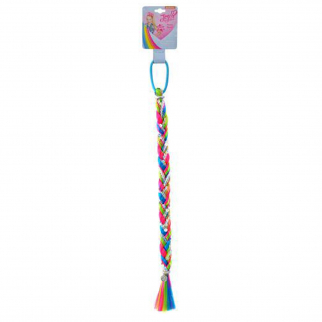 JoJo Siwa Girls Fishtail Hair Extension Pony Ties Sequins Kids Fashion Rainbow $ 8.99	• 50% off! KidPlay Products Fingerlings Friendship at your Fingertips Secret Diary 7 Pieces $ 9.98	• 50% off!